Namaste, my friends! I hope your lovers have their bags packed for India. One bite and you shall be transported away to a mystical land full of Gods, elephants and tuk-tuk cabs. The doughy goodness of the naan perfectly compliments the mango chutney, which all comes together with a paprika spiced chicken breast. This sandwich was inspired by 1 month I spent in India earlier this year. The sights, the sounds, the flavors and smells smacked me upside the head with pleasure. Clearly this country of 1 billion has much to teach the kitchen Casanovas of the world (count on many more India-inspired posts). The passion the good people of India approach life is something we could all take note of. My advice is to incorporate this dish into your repertoire, much like the positions of the Kama Sutra. Ghandi would be proud. Marinate the chicken breasts in lime juice and paprika. Grill them, bake them or fry in a pan. Once cooked, slice the chicken into thin strips. 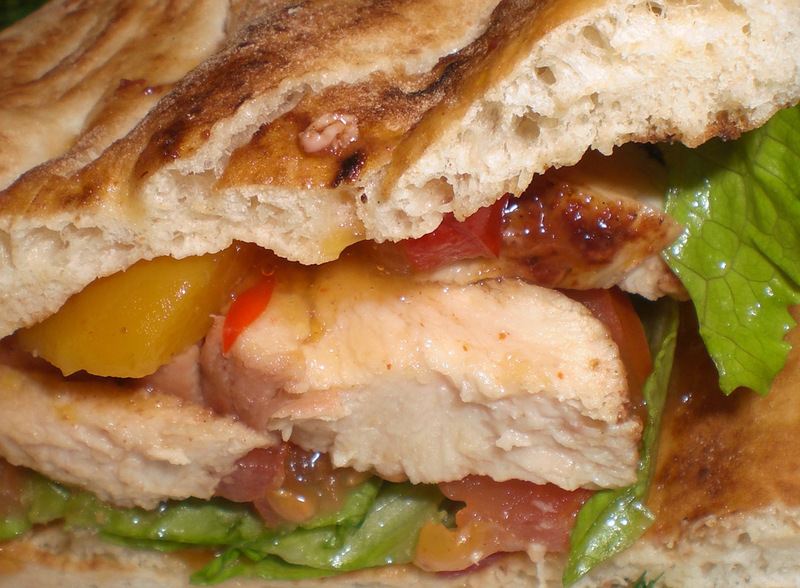 Assemble the sinwich: Spread the mango chutney on each slice of naan place the lettuce and tomato slices, place the chicken evenly across and close up shop. Slice in half and serve 1/2 on each plate with some soup, beer and a Kama Sutra suggestion. Ommmmm! 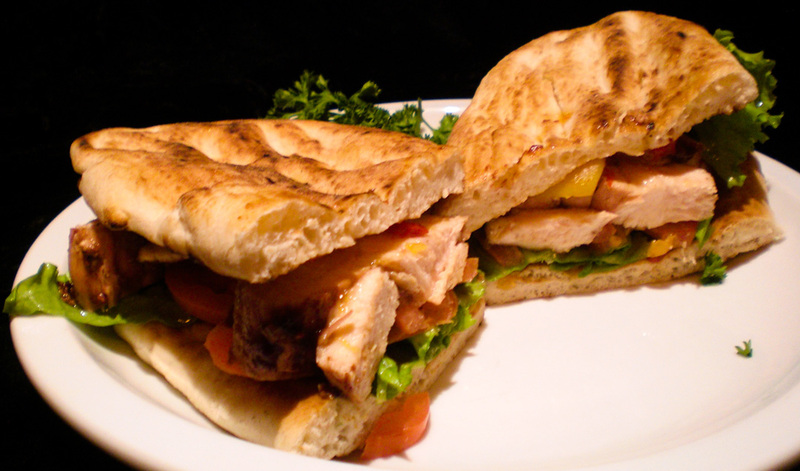 This entry was posted on Monday, December 12th, 2011 at 10:10 am and is filed under asian, indian, RECIPES, SINWICHES. You can follow any responses to this entry through the RSS 2.0 feed. You can leave a response, or trackback from your own site.